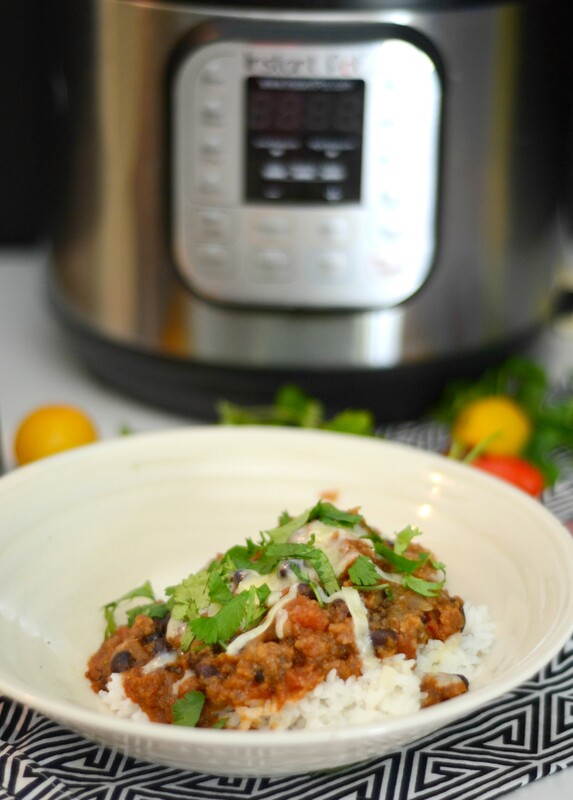 I meant to post this Instant Pot vegetarian chili BEFORE Super Bowl Sunday so you could make it for your parties. But, I didn’t and that is still OK. This takes about 30 minutes from start to finish and is made with mostly things you likely have around. You can still make it in time for the Super Bowl. Or, you can make it tonight and serve it up for your lunch every day next week. This is a great recipe to have in your arsenal when you are looking for something vegetarian, filling and fast. We have a Whole 30’er (me! ), a carb-atarian (sugar and sugar for Nova), a super healthy vegetarian (Sawyer) and someone that will eat anything except beets (Aaron). If I need to make variations, I need to keep them simple. I usually have about 45 minutes after Crossfit and before gymnastics pickup to get dinner made and ready to serve. Gotta be something fast and easy. That’s where chili comes in. 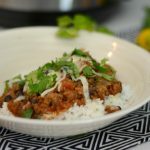 I can make a batch in the Instant Pot or slow cooker that includes meat and no beans (for the Whole 30/Paleo set) and then quickly throw together another batch for the vegetarian. However, before the Whole 30, this would be standard dinner for all of us. You don’t miss the meat at all. 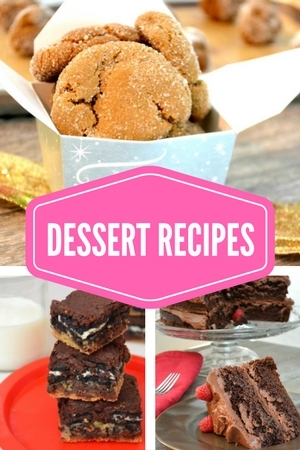 The flavors are so rich and delicious without meat. 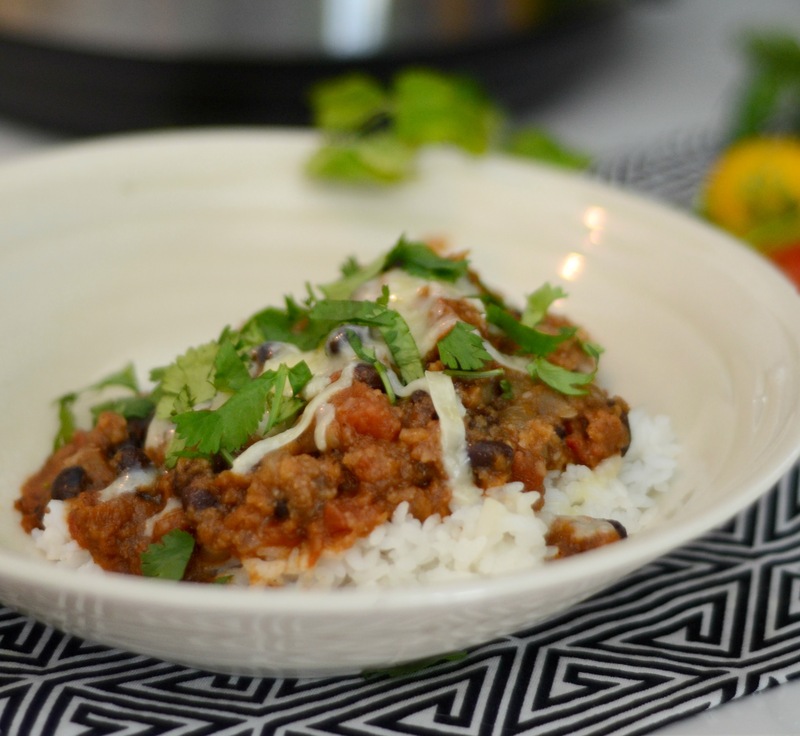 Do as they do in Hawaii, serve your chili atop a scoop or two of white rice, and sprinkle with cheese and cilantro. Perfect apres surf food, lunch food, quick dinner or Super Bowl party food. If you decide to make it, let me know what you think! This is the BEST vegetarian chili recipe and meat eaters will even love it. 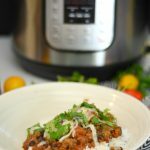 Make it in the Instant Pot in minutes. Using the saute function in the Instant Pot, gently saute the onions and garlic in the olive oil. Once translucent, add the spices and chipotle peppers. Stir together until fragrant. Add tomatoes and black beans. Release the pressure and open the pot. Add the cornmeal and cook on high pressure for another 10 minutes. Self release the pressure and serve!